It is a basic of the base of Dalmatian cuisine. I can say it is a symbol of Dalmatian cuisine . Light meal in a summer, welcome as well in winter time. Perfect to combine with pasta, gnocchi, polenta, “leso” meat ( from ital.word lesso=cooked), rice, sea food. Also it is main ingredient of many vegetable complex meal. I am real salsa “freak”, love its sour sweet taste so much in all this combination and more than everything only with rye or corn brad. You can do it all year around, but the best time is in August. It is a pick of the summer and it is explosion of colors and smell on the green market. The tomatoes are ruby red color, ripe and juicy. And what can be better on hot summer day then cold salsa with corn bread? I can say it is the easiest and the quickest Dalmatian traditional meal. Don’t be put off by word traditional, (it makes me thinking that somebody must be very experienced to do it), it is very simple procedure. It deserves a place in every fridge. Prepare a large pot of water to boil. Blanch tomatoes in boiling water for 30 seconds. 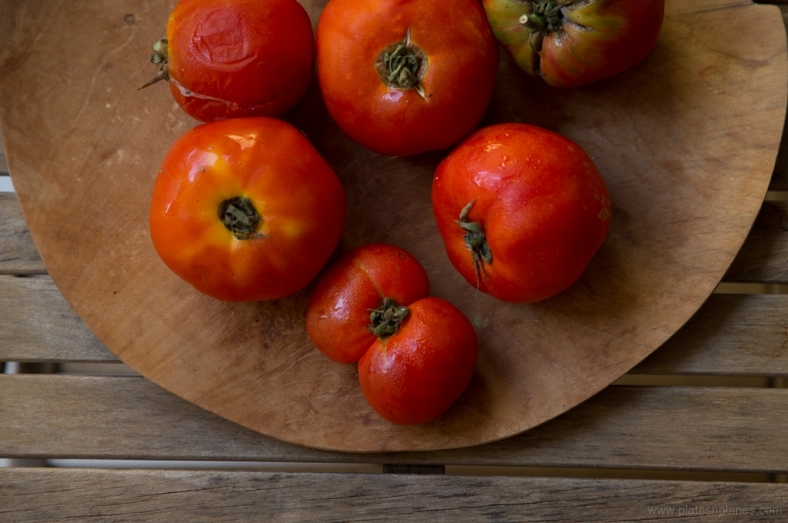 Remove tomatoes and put them in a bowl of cold water. 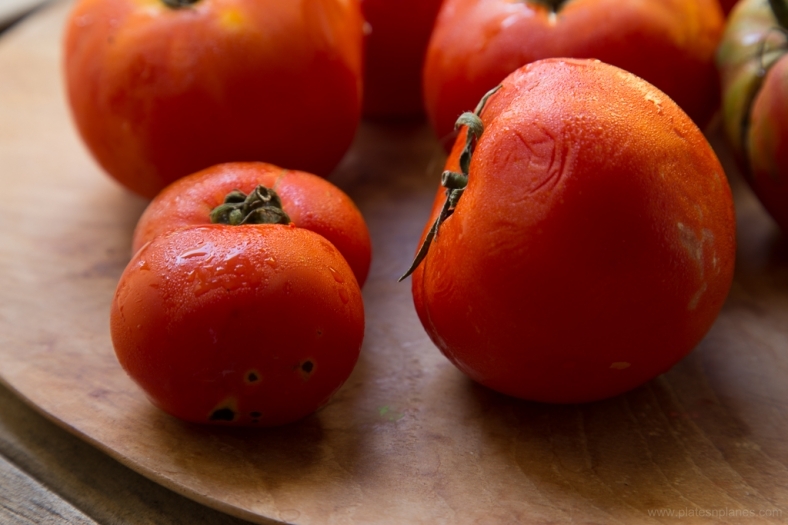 Now you can easily peal tomatoes. After that cut tomatoes on small pieces. The “hardest” part of preparation of salsa is done. That is basic recipe. 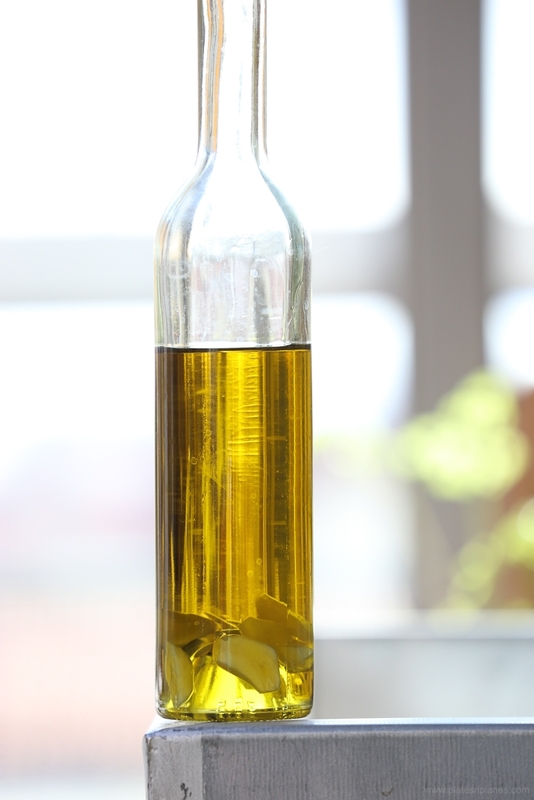 Now you can add fresh basil, parsley, rosemary, acetate balsamic, capper, dry wine, prose (dessert wine)…be creative. Serve it warm or cold, as you wish. Combine it with pasta or fish or salad….or just with bread. Also you can freeze it and use it in winter time.